Preheat oven. Remove all packaging and place the joint on a chopping board. Rub the skin dry with a kitchen roll and cover with 3 tablespoons of salt, working it into the cuts. Leave at room temperature for at least 30 minutes. Rub all the salt of the joint and from between the cuts. Pat dry, lightly cover the rind with 1 teaspoon of salt. During Cooking: After 25 minutes, reduce the temperature to Fan 160°C for the remaining cooking time. 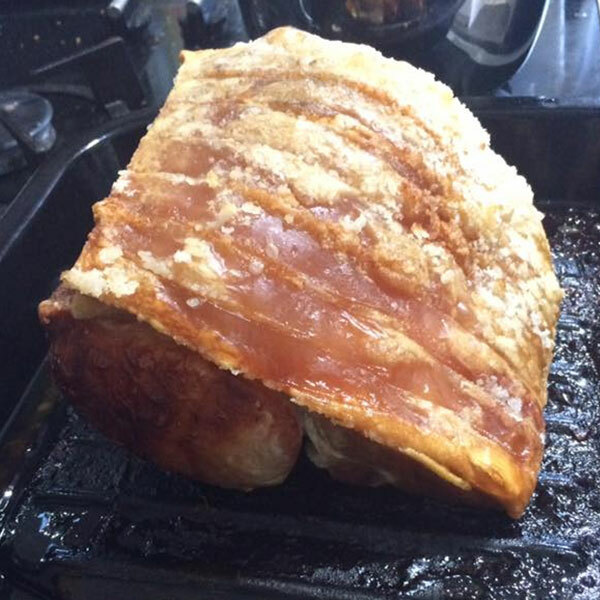 If the crackling is still a bit soft, turn the temperature back up to 220°C for the last 15 minutes. After Cooking: Allow the joint to rest for 20 minutes before carving. Check food is piping hot and no pink colour remains. All cooking appliances vary. This is a guide only. Oven. 220°C /Fan . 30 mins per 500g plus 35 mins. 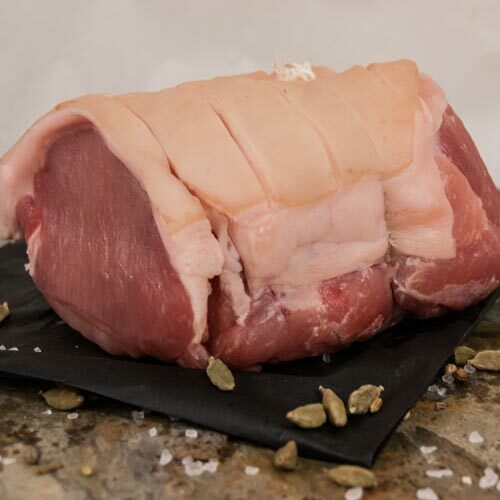 Perfect for Sunday lunch with the shin scored for amazing crackling. Lean and naturally low in fat. Delicious with apple sauce and all the trimmings.